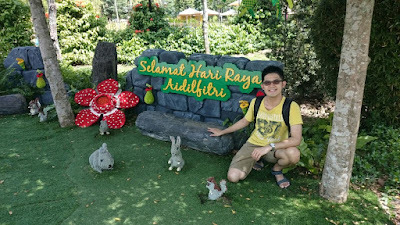 To my fellow Muslims and Malaysians who celebrate Hari Raya Together and to my other readers outside of Malaysia it's a major festive week so I will Keep It Short & Simple. Enjoy the festivities. Drive safe, rest well, please spend the time with the people you care and love. Global shares are currently in a correction phase. Greece’s Crisis, China’s slowdown and the approaching prospect of higher US interest rates have weakened global shares since mid-June. Accordingly, global shares should deliver solid returns later in 2015 allowing for this current bout of turbulence. The IMF has cut their 2015 Global growth forecast from 3.5% to 3.3% for 2015. America’s growth has been downgraded by -0.6% to 2.5% in 2015 given the March quarter contraction. Yet the IMF is still optimistic that this is a “temporary setback” given “easy financial conditions, lower oil prices and strengthening housing market”. Europe’s growth forecast has held steady at 1.5% for 2015, even allowing for Greece suffering a “heavier toll”. America’s central bank meeting minutes for June gave no compelling signs on the likely timing and trajectory for US interest rate rises. withdrawals to Euro € 60 per day. China’s rollercoaster Share market has been the main drama. The Shanghai Composite Index suffered a painful - nearly 25 % in the past month. This is not really a major crisis for the Chinese economy. The average Chinese household has less than 15% of their assets in Chinese shares according to HSBC as such consumers have limited exposure. Furthermore share investors who have held the benchmark portfolio for the past six months still have a +40% positive return. It was merely too fast too furious as the market overheated. However China’s economy is still experiencing a slowdown rather than a slump. There are key signs suggesting that China’s economic growth is progressively slowing rather than collapsing into a recession. China’s residential property market appears to be stabilising, with prices having recorded modest gains in May and June. China’s business surveys, such as the Purchasing Manager Indexes for June, suggest that China’s real economic growth is now running around the 6.5% pace. China’s central bank has also cut their key interest rates in June, which should be more supportive of Chinese economic growth over the next year. Japan’s Tankan survey shows an encouraging gain in business confidence in the June quarter. This is supportive of Japanese shares and the mild economic recovery.